The south side of Yasukuni Street. All signboards on this photo belong to secondhand bookstores. There are also many famous publishers in Jinbocho area. On the foto above, you can see from left Shogakkan and Shueisha. Both companies are among others big "manga" publishers. Behind them is the headquarter of Iwanami. 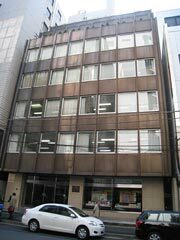 Yuhikaku started as secondhand bookstore, but it is now a renowned publisher for jurisprudence and social science. The building on the right photo is its present headquarter. As for the oldness, Takayama-honten says that it was established in 1774, three years earlier than Yuhikaku. Koga-Shoten is accomodated in a building typical for the years around 1930. Entrance of Isseido-Shoten. This building was built in 1931. 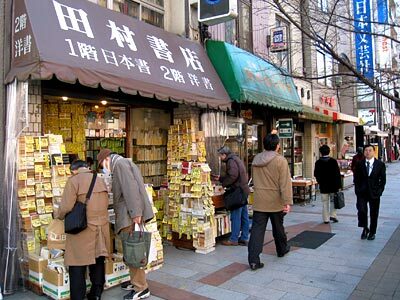 Tamura-Shoten puts books in front of its store with yellow papers on which prices are written. Oshima-Shoten is a tiny bookstore with only about 10 ㎡ floor space. 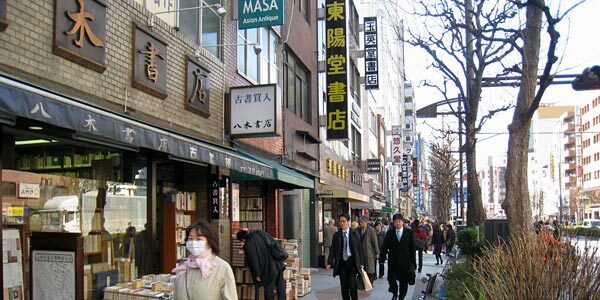 Kanda-Jinbocho is famous for its secondhand bookstores as I explained in another article. 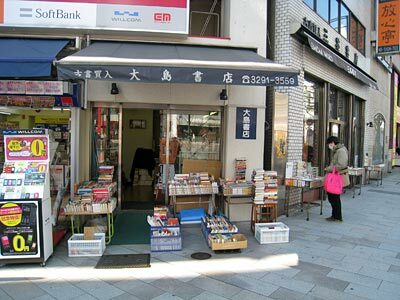 There are 176 secondhand bookstores listed on the official Jinbocho website and I believe that Jinbocho is the largest concentration of secondhand bookstores in the world. 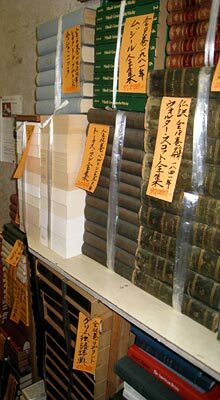 It is often said that any book can be found in Kanda. I think this is an overstatement. However, it is true that we can find there an incredibly wide spectrum of books. Not only Japanese or Chinese classics but also rare European and American books are on their bookshelves. Recently I found in a bookstore Engelbert Kaemper's famous book on Japan "Histoire Naturelle, Civile, et Ecclesiastique de l'Empire du Japon" published in 1729, though it was too expensive for me to buy - 1,900,000 Yen ≒ฺ 22,000 dollars. Kanda-Jinbocho had already become a town of books at the beginning of the Japanese modernization in the second half of the 19th century. Although during the Edo period (1603-1867), Japan restricted its contacts with the rest of the world, the government still tirelessly collected information on the outside world. Later in its ruling period in 1857 the Shogun government founded an institute for the study of foreign books in an area of Kanda(*). After the Meiji revolution this institution was converted by the new government into a university , on the basis of which the University of Tokyo was founded in 1877. Many other universities(**) and high schools were founded in and surrounding Kanda and their professors and students needed books. "Jinbocho" is a sub-area of Kanda. Kanda was once an independent ward and integrated into Chiyoda ward in 1947. Chiyoda ward is the central ward in Tokyo and includes the Imperial Palace. Kanda is located north of the Palace. 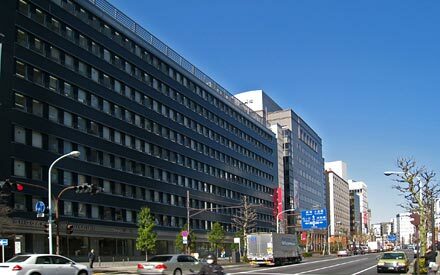 There are Meiji University, Tokyo Medical & Dental University, Juntendo University, Senshu Univertisy, Kyoritsu Women's University in and near Kanda. Such universities as Gakushuin University, Ochanomizu University, Chuo University and Hitotsubashi University were founded in the Kanda area, but later moved out. 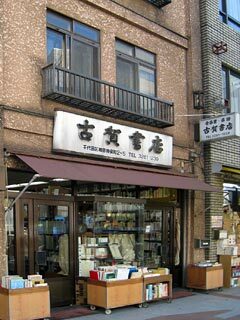 Yuhikaku opened in 1877 as the first secondhand bookstore and was followed by many others. Among the bookshops which started in this early period, Sanseido and Tokyodo are still operating in the same locations. Until about 1880 publishers and new bookstores were mostly found in the traditional districts such as Nihonbashi and Kyobashi. 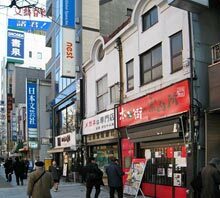 However, they to gradually moved into Jinbocho so at the beginning of the 20th century Jinbocho became the center of book culture in Tokyo. 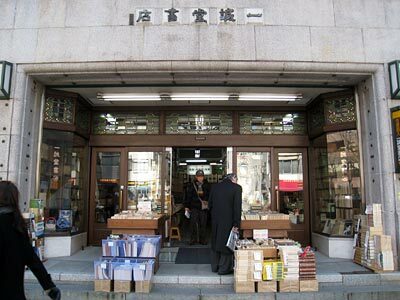 The secondhand book business flourished and developed despite difficulties caused by the Great Kanto Earthquake in 1923, the Great Depression in 1929 and WWII. If we compare the present map of secondhand bookstores with that of the pre-WWII period, the big difference is the disappearance of bookstores between Jinbocho crossroads and Suidobashi JR station. This was largely due to the bombardment during the war. Fortunately the bookstores on the southern side of Yasukuni Street survived the air raids. Compared to the problems in the past, the present situation might be much more difficult for the book business to tackle, because young people now are not much willing to read books - except for "manga" - but use internet and mobile phone to gather information. Though there are many secondhand bookstores, it is not easy to make the good use of them, because they are mostly small and specialized in certain fields. For example, I like music and sometimes look for books which are out of print. For such music lovers and music students, Koga-shoten offers the best choice. Recently I looked for a book entitled "On the history of Japanese popular songs" which was published in 1980. There are four offers through Amazon.co.jp and their prices are 1,900yen, 3,500yen, 9,800yen and 9,800yen. The one I bought at Koga-shoten was 2,500yen and in very good condition. The other day, I guided a German friend around in Jinbocho. He used to work at a secondhand bookshop in his student days and was interested in seeing Jinbocho. I brought him to three bookshops which have good inventories of German and other European books. Isseido-Shoten is a long-established store. Its present building was built in the devastation caused by the Great Kanto Earthquake and is one of the most impressive buildings of bookstores in Kanda. Isseido has really precious books. In the upper floor there is a good collection of foreign books. Many of them are not just old books but mostly expensive and valuable antiques. "Shoten" means bookstore. Most of the full names of Japanese bookstores have "shoten" at their ending. But, in daily conversation we usually omit this part and simply say, Isseido or Sanseido. Tamura-Shoten has a large collection of German and French literature on its upper floor. Tamura-shoten is a typical Japanese secondhand bookstore with regard to its architecture and in particular its narrow spaces. In the stairway of Tamura-Shoten, there are books by Walter Scott, Thomas Mann and Robert Musil. Its stairway leading to the upper floor looks like a storehouse and lots of collected works are placed there. They have also some music books and I bought "Schubert" by Peter Härtling when I went there together with the German friend I mentioned above. The price was 1,000 yen (≒ฺ 11 dollars) and inexpensive. The last bookstore I take up here is really small. Oshima-Shoten specializes in foreign books and there are some German books at comparably low prices. I found many titles very strange. I suspect that the original owner of the books that are displayed there, was especially interested in the sexual behavior of primitive peoples. Jinbocho Information Office - here right in red color - is in a terraced house built before WWII. To guide the visitor to Jinbocho, there is a small information office. You can search books and bookstores using comprehensive computer database, if you understand Japanese! Their pamphlets are also only in Japanese, as if foreigners are in no way interested in Japanese bookstores. I found there only one small pamphlet written in English. That was about winter sports shops in the area. Jinbocho is also known for its many discount sports shops. At least sports shops are willing to sell their goods to foreigners.